No, these epithets are a product of a tradition going far back, back before the recorded histories of the Realms were put to parchment. The wizarding traditions were laid down by the first families to unlock the secrets of spellcraft and have been followed with very little alteration since. Thus, when Blackstaff - before he was Blackstaff - began his training, the course of that erudition was so old and ingrained into the tiny magical community that none questioned that he should forego his gods-given name for that of simply "Adept." Nor did they question that his first three years of training would include nothing more than menial labor - no magicks would be taught him until his fourth year, And then, only the simplest spells, including Read Magic, were taught, so that he might learn and master the fundamentals of spell casting. Also, when the Adept reached his fourth year, his teacher began to train him to fight with the same weapons his teacher had taught him - the staff and dagger. Thus it had always been, thus shall it always be. And so would the training continue, in the prescribed manner, for no less than five more years and until such time as the teacher felt that his pupil was ready to take his name. That name would bear the teacher's name mark, just as his had borne his teacher's name mark, and so forth back through the ages. Thus did all the great wizards - Whitehand the Weird, Greymule the Redundant, Bluesmoke the Bereft, etc. - come by the names by which they are now known. 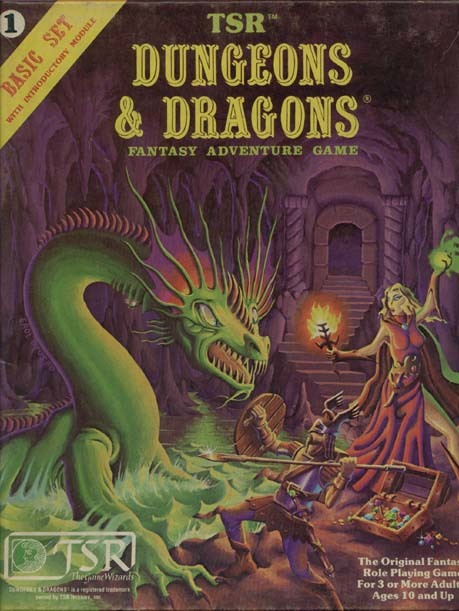 I look at some of the apparent oddities of B/X Dungeons and Dragons as challenges. Instead of seeing things like Magic User weapon restrictions as limitations (put in place to serve a rules-based purpose) I try to think of them in game terms: Why would such restrictions exist in the context of the game world? What sort of opportunities for storytelling do they offer? The key is to think beyond the written rules. 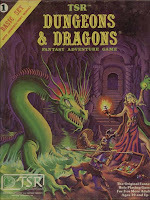 When game rules that are perceived as arbitrary limitations are woven into the tapestry of the game world, they can exceed their humble beginnings and become a creative force acting upon that world and a key element of the story of the characters. Even more stark: the time requirements for the mental portion of wizarding preclude any study of true combat. The nobleman's son begins training to defend his birthright early; as should be expected, a long and eye-straining apprenticeship of mundane tedium must begin early if the wizard is to reach his full potential. Training in staff & dagger? Hurried trips down alleys and trails on errands for your master, defending his possessions and your life with your walking stick (preferably)--who wants to get into a knife fight? People die in those. @Mujadaddy: Great spin on it. If I were doing a grimdark game, that would definitely be a worthy alternate approach. Thanks!